Whoever you know who’s run it will tell you: it’s hard but fun. Registration is already picking up steam for the 6th annual Geauga Park District’s Caveman Crawl 5K Trail Run on Sunday, June 12, at The West Woods in Russell Township. Walkers are always welcome in the 5K, and many walk it. But this year, another element should make it possible for everyone to participate. Get the entire family moving with a NEW 1-Mile Fun Walk held in conjunction with this year’s Caveman Crawl – all-terrain strollers welcome! Registration forms are available at http://bit.ly/gpdcaveman. Participation costs $20 if completed online, at Packet Pickup or postmarked by June 8, then $25 on race day, with the first 250 registrants guaranteed this year’s commemorative T-shirt. All proceeds benefit the Chip Henry Institute for Outdoor Adventure, which funds youth programming in the parks, including annual summer camps for youth entering grades 5 through 10. So what about the course? Well, just over 3.1 miles of hilly, well-graded dirt and gravel make it one of the most challenging 5Ks around. It also includes portions of Ansel’s Cave Trail, known for its beautiful Sharon conglomerate rock outcroppings, not to mention the forest views and wildlife just around the bend. 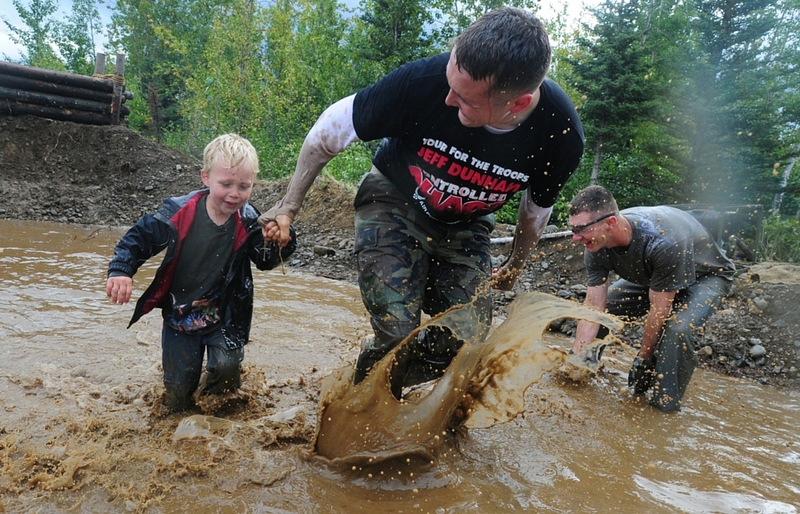 View both the 5K and the 1-Mile Fun Walk courses at http://bit.ly/gpdcaveman. As always, prehistoric garb is encouraged, with a costume contest for youth and adult categories near the starting line. Judges score on a scale of 1-5 on originality, enthusiasm and authenticity. Awards are lovely handcrafted wood. Need a costume quick? Just mention you’re participating in the contest and get 15% off at Perfect Occasion Costumes in Middlefield! Race time is 9 a.m.; registration is from 7 to 8:30 a.m.; costume judging begins at 8:30 a.m.; and free food and awards will follow. Geauga Park District is grateful for the generous sponsorship of University Hospitals Geauga Medical Center, Foundation for Geauga Parks, Paul Davis Restoration/Owner Jeff Suszynski, Junction Auto Family, Frat. Order of Eagles – Geauga #2261, Patterson Fruit Farm, Sunrise Springs, Kinetico and Snap Fitness 24/7 (Chardon & Chagrin Falls). Geauga Park District is online at http://geaugaparkdistrict.org, Facebook, Twitter and YouTube.